Bananas are easily the underdog of the summer fruit world. They’re not exotic, or plump, or bursting with juiciness that’s only available a few weeks a year. But, oh, do they make some incredible bread. You’ve got to give them that. And everybody loves the underdog, right? I’ve been playing around with banana bread recipes for a few months now. There’s been the good, the bad, and the ones decked out with so much chocolate and sugar you might as well call them a cake. As much as I’m a girl obsessed with cake… it’s just not what I’m was looking for in my bread. But don’t worry… do I look like a girl who gives up easily? Oat flour and maple syrup are the game changers in this bread, giving it a sweet taste and soft texture, while keeping everything healthy and natural. Have you baked with oat flour yet? I’m obsessed! And you can make it at home. Just throw some oats in the blender, grind them up, and BAM – you’ve got yourself some oat flour! 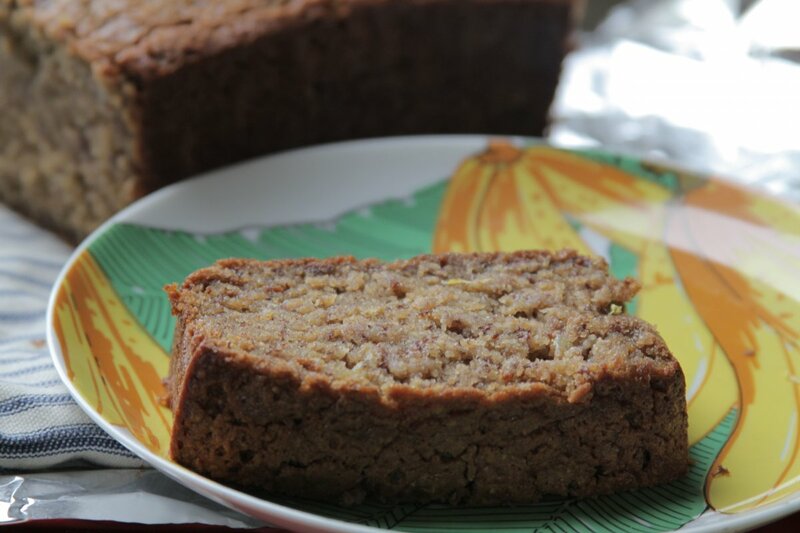 If you’ve been searching for a banana bread you can call breakfast with thinking twice, you’re search is over. Preheat oven to 350 degrees (F). Line the bottom of a loaf pan with parchment paper and spray with non-stick spray. In a medium bowl, sift together the oat flour, baking soda, cinnamon and salt, set aside. In a separate large bowl, beat maple syrup and eggs with a whisk until light and fluffy, about 5 minutes. Add melted butter. Add mashed bananas, Greek yogurt, and vanilla. Gently mix in dry ingredients. Pour batter into the lined loaf pan and bake for 45 minutes to an hour, or when a cake tester comes out with just a few crumbs sticking to it. Allow bread to cool completely before slicing. * If you’re on a gluten-free diet be sure the oats you use are GF. This looks + sounds just wonderful! I’m sure it’s a keeper, if it took you 6 recipes to find the perfect one. must try! This looks so extremely moist! 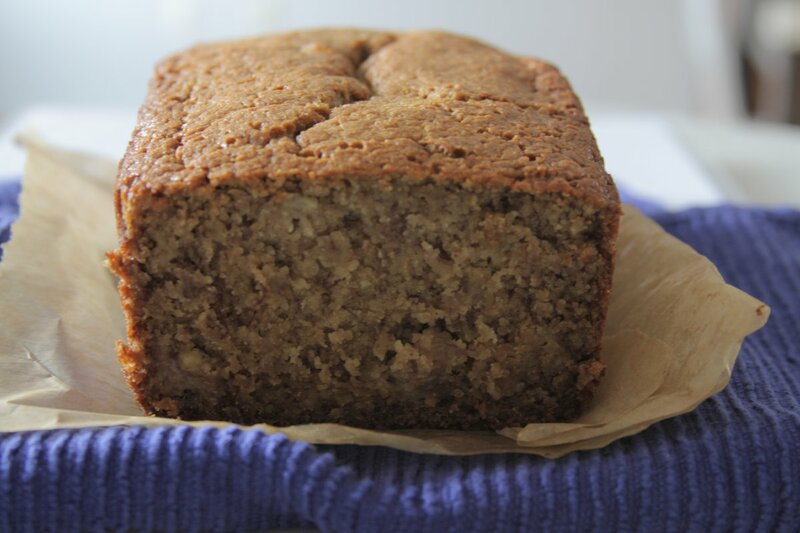 I love my banana bread recipe but I just might have to try this, I adore maple! This looks so moist and perfect! Love the maple flavor in here, sounds delicious! Oh banana bread! We did our championship last year. 13 banana breads in all. We got a bit banana bread-ed out after that, but I think enough time has passed. This recipe looks like a winner, that’s for sure! I love banana bread, but never thought to add maple syrup to it. This sounds delicious! Oh banana bread! I, who don’t bake often actually baked banana bread today and photo shoot. It was actually quite difficult to take pictures of loaf and I struggle a bit. Well, if you see my post one day you might see my struggle. Haha. You always take great close-up shot. I couldn’t deal with reflection of plate very well today. Ugh! Looks delicious Ashley, we all love banana bread in my house. It’s such a simple swap you won’t even notice! This bread looks delicious! If you’re traveling through Australia could you drop some off? I hope you do! It’s wonderful!!! This bread looks hearty and delicious! I’m pinning so I don’t lose it! Glad you found the recipe of your dreams. I think I wrote to you after one of my recent banana bread posts saying how it took me ages to find mine, too. Oil or butter, creaming or whisking, brown sugar or white, how much baking powder or soda, etc…it goes on and on. Your bread is gorgeous and looks delish! It worked for me! I just discovered spelt flour this week: love it! I love that you made your own oat flour for this bread! Such a good idea! And the maple…yum! I’m a HUGE banana bread fan. I don’t typically create my own recipes but love following everyone else’s unique twists on this classic bread. 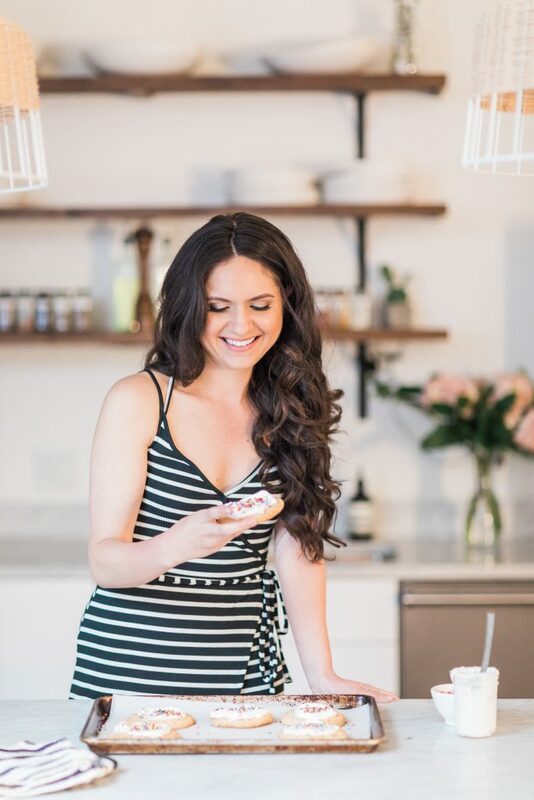 I am adding this recipe to my MUST BAKE list…stat! This recipe (and photos) looked great. I have 4 small loaves in the oven right now, so will let you know how mine turns out. Thank you! I will say that I added a handful of coconut when processing the oats into flour. Also a bit of flax seeds, chopped walnuts and chopped dark chocolate (not too much). I have a granddaughter who doesn’t eat “healthy” and has “only toast” when she gets to school 🙁 So, I’m giving her one of these loaves to see if she’ll enjoy it as a breakfast substitute…healthier than just toast! She can freeze slices individually and put one out the night before. I’ll be back to let you know 🙂 If she likes it, I’ll try different variations. But I do like the oat flour idea. Have only used it to make HEALTHY dog biscuits for my pupsters. Okay…i’m back! ABSOLUTELY DELICIOUS!! 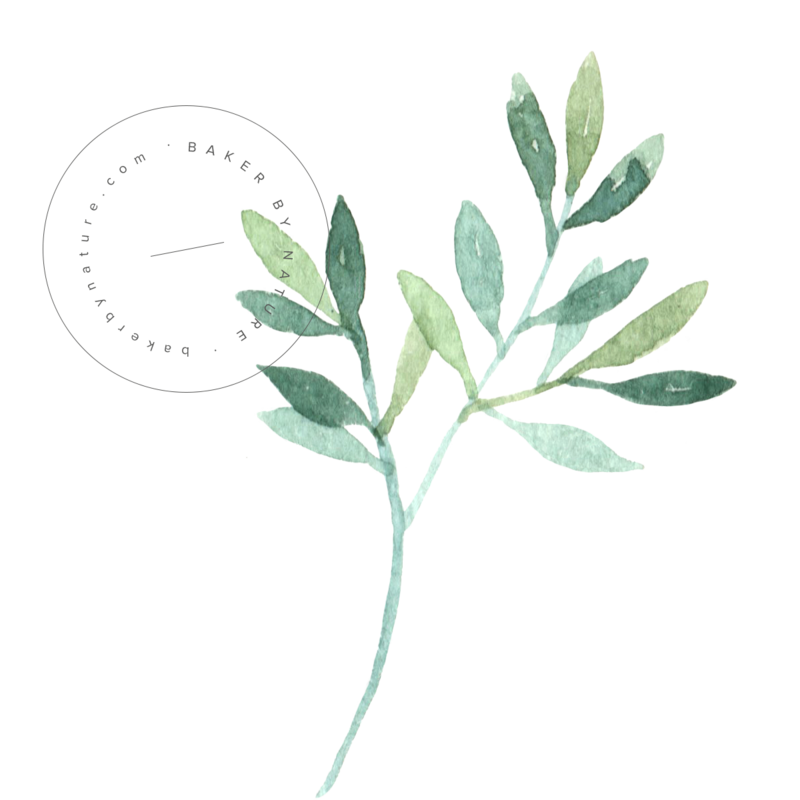 Perfect sweetness and texture. This will be even healthier with the addition of flax seeds, coconut flakes (blended with the oats) and walnuts. I used one pan that holds 4 small loaves (not the tiny mini’s). I would suggest to watch carefully after 35 minutes as the sides may tend to overly brown (not sure if it’s the butter or the maple syrup that would give it the tendency). This will, forever after, be my “go to” bread-type recipe. Might consider pumpkin or zucchini using the basics here. I feel certain that Ashley’s suggestion to “beat the eggs and maple syrup till light and fluffy” gives it a nicer, lighter consistency than some other banana bread recipes that I’ve tried. I don’t think you’ll be disappointed in the least! Thanks again Ashley! I’m so thrilled you tried this and loved it! 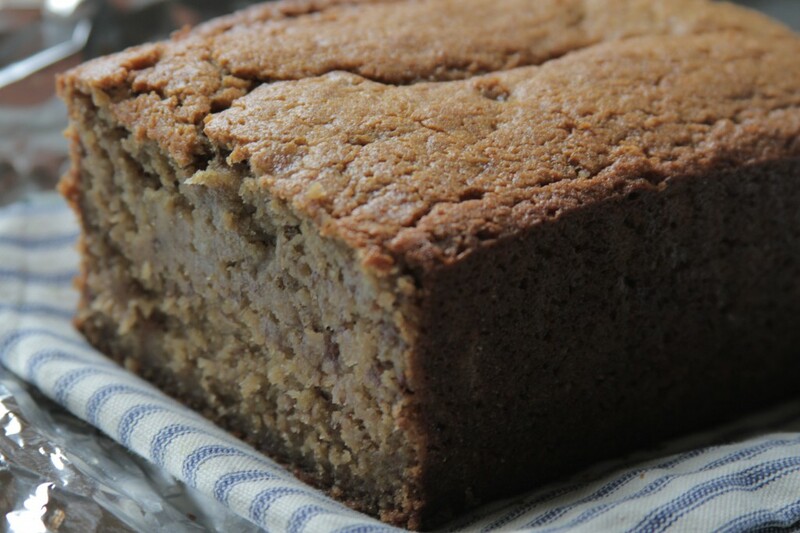 I just found this recipe the other day and this is by far the best banana bread I have ever tasted and it was so easy to make! the recipe is foolproof. I measured the bananas to 1 cup instead of per piece, replaced yoghurt with my leftover sour cream in the fridge and subbed half of the oat flour with AP flour. the crumb is fine and soft. I used this recipe as a baby smash cake because it is sugar free. thanks so much for sharing! Hi Cai! You’re so welcome 🙂 Thanks for letting us know the changes you made and how the bread turned out. I would love to try this cake but it has to be completely dairy free, do you have any ideas on what can I use instead of the yoghurt? Hi Vivian. It’s so moist that I think you could just leave it out! It’s only two tablespoons so you won’t notice much of a difference. I am making this as we speak. I used butter and added frozen blueberries to the batter, I can’t wait to try it! Thanks for the recipe. 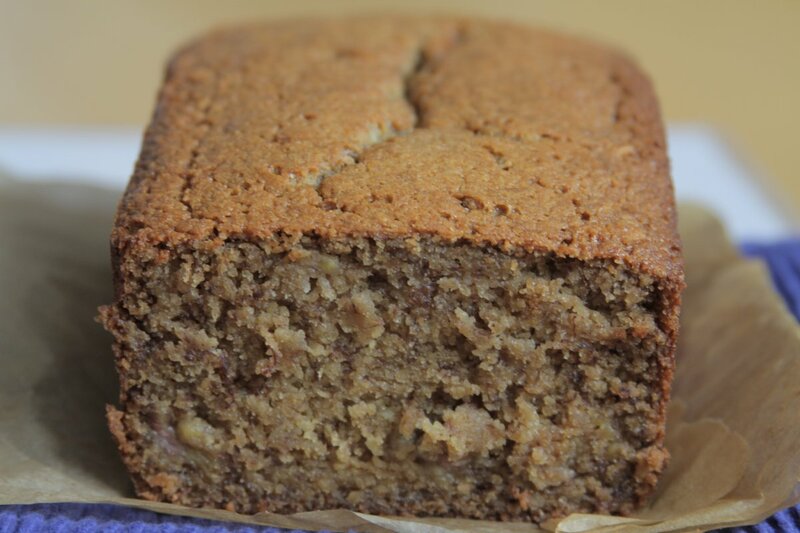 This is my second time making this banana bread – my whole family loves it! Thanks for such a wonderful, healthy recipe. The first time I made it as is and it turned out delicious. The second time I was serving it to my one year old daughter, so I subbed out the maple syrup for date paste and made it into muffins. This also worked beautifully! In case anyone wants to try it, making the date paste is super simple. A few minutes before you want to make your muffins/banana bread, take a heaping 1/2 cup of dates (pack them in there! ), pit them and put them in a small bowl. Add boiling water to just barely cover them (I mashed them down into the water) and let it sit for 15 minutes or more. Then blend to make them into a paste. Delicious! BUT I had to cook it super long, it’s way dark on top..
My oven thermometer said the temperature was accurate.. Any suggestions? I just ended up cutting off the edges.. Loved it! This is the best banana bread I ever made. Thanks for the recipe! Hello from Malaysia! I made this banana bread last night and having it as breakfast now. So good! I left out the cinamon (not a fan), greek yogurt and vanilla (don’t have them at home) and sub maple to honey but I only use 1/4cup instead of 3/4cup and it is sweet enough for me. Thank you for sharing this recipe! I only have one problem which is my banana bread falls apart when i slice it this morning. Any idea why this happens? It is very moist but i just can’t get a pretty slice like yours. Delicious recipe. The original is a little too moist for my liking so I reduced the bananas to two and added 1/3 cup of all purpose flour. Perfecto! This bread knocked it out of the part!! I did only use 3 bananas because that was all that I had and it was just the right amount of sweet banana flavor. The batter looked a bit thin so I added another 1/3 cup of the oak flour. 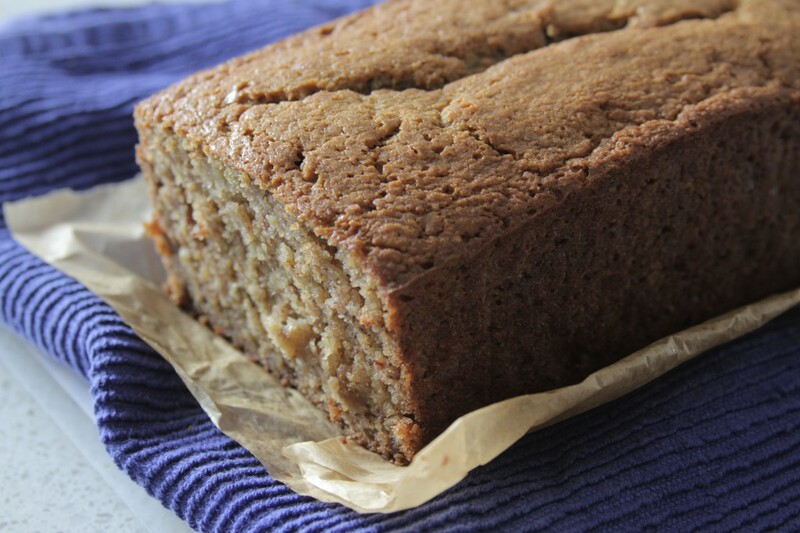 We are gluten free and this was the best gf banana bread we’ve ever tasted. Good job on this recipe. Thank you! I made this today – it is outstanding. Thank you for the recipe.